Almost everyone knows what a cauldron is. They are usually shown in movies or shows dealing with witchcraft, and a lot of people might then associate it to dark magic. The cauldron has been around for a very long time, and media has corrupted it’s use over those years. The cauldron is a central image of the Celtic Shamanic tradition as it is a vessel or heat, plenty and inspiration. Large cauldrons were very common among the ancient Celts, some of them being as big as a person. Cauldrons were so important to people back then, that when the owner died, they were often buried along with their cauldrons and other things. The Cauldron represents the receptive feminine form and also the embodiment of the Goddess and the womb. It is seen in countless rituals as it is a symbol of inspiration and transformation. 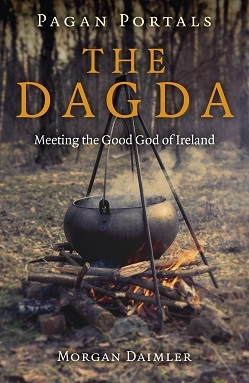 This magical pot of the Goddess is associated with plenty or abundance, and generally transcends through Dadga. Cauldrons are used mainly in divinations, especially for scrying. Scyring with a cauldron means to fill it with water and than you would gaze into it. But, the cauldron has many other uses including filling it with flowers, herbs or other symbolic items during important Pagan festivals or holidays. Of course, then there is to use the cauldron to hold items that need to be burned, boiled or heated. Salves, oils, and various other brews can be made in the cauldron. The cauldron is linked to the west, which in turn means it is also linked to the element water. This suits well considering it has the ability to contain liquid. They are usually made out of cast iron, but you can also find it them in silver or bronze. They come with either three or four legs. There are both three legged and four legged cauldrons. Both are pretty popular. The three legged cauldrons represent the Goddess- Mother, Maiden and Crone. The four legged ones are associated with the four Elements, the four Airts (winds), for Watchtowers and the four Major Fire festivals. A cauldron is a great and practical addition to any alter.